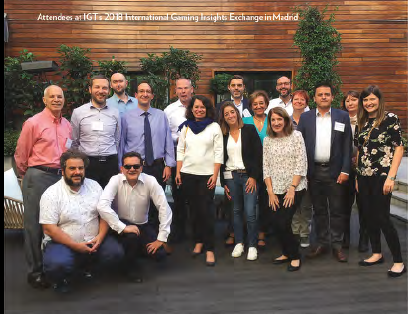 The global leader, across all channels IGT’s integrated portfolio of technology, products, and services, including its best-in-class content, is shaping the future of the gaming industry by delivering the innovation that players want. IGT is the world's leading end-to-end gaming company. It is listed on the New York Stock Exchange under the trading symbol "IGT." Its holding company headquarters are in the United Kingdom, with operating headquarters in Rome, Italy; Las Vegas, Nevada; and Providence, Rhode Island. IGT attracts the industry’s top talent, with more than 12,000 employees across the globe. 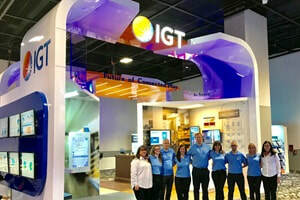 What we do IGT is uniquely positioned to provide the government-sponsored and commercial gaming industry with proven solutions for gaming, lottery, interactive, and social, through every channel across the spectrum, including retail, web, and mobile. 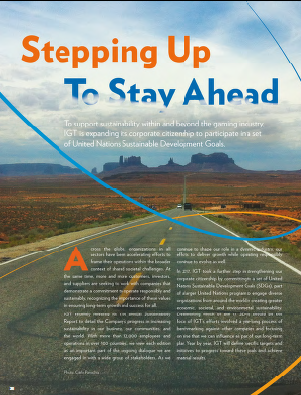 To support sustainability within and beyond the gaming industry, IGT is expanding its corporate citizenship to participate in a set of United Nations Sustainable Development Goals. Recognizing We Are Stronger Together IGT values diversity and inclusion, important drivers of innovation and growth. In 2017, we expanded our Executive Diversity & Inclusion Council to meet the evolving needs of our customers, our people, and our communities. Staying Mindful of Our Resource Use Our teams around the world collaborated to enlarge the scope of the sites included in IGT’s environmental data-collection tool, one of the reasons why IGT has been recognized by the CDP as a leader in addressing climate change. Supporting Responsible Gaming The collective efforts of the Company’s global Responsible Gaming Working Group made IGT the only vendor with distinct industry certifications for responsible gaming across the Lottery, Digital, and Gaming segments. Helping to Build A Better Future IGT has made education a top priority in our community support, collaborating with schools and colleges on a wide range of initiatives, including the launch of a Women’s Entrepreneurship Program in Costa Rica in 2017. Through our After School Advantage program, IGT has built more than 300 digital-learning centers since 1999 to support at-risk children in gaining competitive skills. To learn more, visit the Global Responsibility section of IGT.com for the full IGT Sustainability Report. Enrico Drago (Senior Vice President, IGT PlayDigital) and Charles Cohen (Vice President, IGT PlayDigital Sports Betting) about how consumer desires and expectations are set to fuel the expansion of digital lottery play in the U.S. and the potential for lotteries to grow with sports betting. ​Among the many drivers of lottery growth, optimizing the instant category stands out for its proven track record and further high potential. Instant products represented more than 89% of U.S. lottery sales growth between 2012 and 2017 ($10.9 billion out of $12.2 billion of total lottery growth1 ). The category currently generates about 60% of total U.S. lottery sales and contributes to about 50% of gross gaming yield and net player spend.2 The benefits to lotteries from optimizing instants can be both substantial in size and quickly brought to market. For example, in the first year of IGT’s lottery management operations in the U.S., we partnered with our lottery customers and grew instant sales by 28.3% in Illinois (FY 2012), 14.1% in Indiana (FY 2014), and 11% in New Jersey (FY 2015).3 Instants represent a great development opportunity in the international space as well. 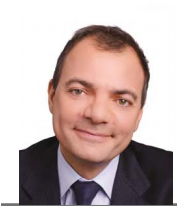 In Italy, IGT’s Lottomatica grew instant sales of Gratta e Vinci by 207% in its first full year of management (from 2004 to 2005).4 Bringing international markets to the same share of instant sales already achieved by U.S. lotteries could generate more than $34 billion in incremental sales. With this in mind, what is the best way to go about optimizing and growing the category? Several years ago, as our team was setting out to develop a more effective way to communicate and share data with the lottery retailer network we managed, we recognized that we could expand our vision. Not only could we bring vital information, training, and inventory management tools to retailers’ fingertips, we could offer lotteries something that wasn’t available in the industry: a full set of business intelligence tools that provide all lottery stakeholders with a range of solutions to identify growth opportunities, support execution, and save time and resources across all lottery touch points. From experience in Illinois, Indiana, and New Jersey, and as part of a larger team that manages lotteries in jurisdictions around the globe, we saw from an operator perspective that the available tools didn’t always alleviate the pain points associated with the lottery category. Since that time, IGT has fulfilled the original vision with a synchronized suite of nimble, user-friendly applications that lottery employees, sales staffs, and retailers can deploy to inform smarter, fact-based decisions and propel the actions that drive sales. 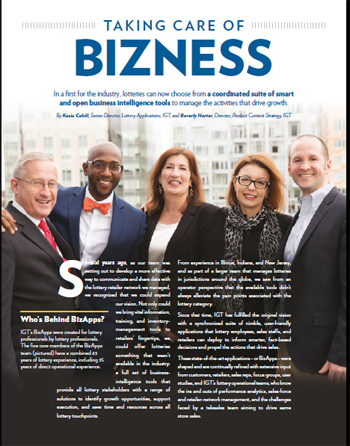 These state-of-the-art applications – or BizApps – were shaped and are continually refined with extensive input from customers, retailers, sales reps, focus groups, user studies, and IGT’s lottery operational teams, who know the ins and outs of performance analytics, sales-force and retailer-network management, and the challenges faced by a telesales team aiming to drive same store sales. In a first for the industry, lotteries can now choose from a coordinated suite of smart and open business intelligence tools to manage the activities that drive growth. Lottery innovation comes in many forms. Along with new game development, IGT’s FutureGame group optimizes current draw-game portfolios, helping to generate more than $1.1 billion in incremental growth for U.S. customers over the past four years. ​In everything from organizational growth to the delivery of products and innovation to customers, IGT is making diversity and inclusion a priority. ​Where can lotteries find growth? In everything from player insights to retail operations. Draw Game Innovation from the Human Perspective: PLAYERfirst—A revolutionary approach to overcoming industry threats. Chain Reaction: Integrated in-lane solutions open new distribution channels and attract new players. Changin Hearts and Minds: GTECH's model for planning through data and insight integration. The Big Freeze: The need to adapt to a changing environment. "Education is the Premise of Progress." Same Games, Different Channels? How the right partner makes convergence successful. Wireless Gaming: The consumer demands it. And now that security is even better than wired gaming, progressive operators are delivering it. The Mighty Mite of the Gaming Site: Lotteries and retailers should expect more from their site controllers. Responsible Gaming: New approaches to an evolving issue. How technology addresses operators' concerns about player acceptance. Building Public and Player Trust: The challenges of corporate social responsibility. The Once and Future Players: Meeting the challenge of lottery player base development. Lottery Growth: Seeing and adapting to change in the retail markets. Advertising to increase sales now and position you for the coming upswing in consumer confidence. Player socialization and community-based gaming in video lottery. Evolution in Public Gaming: The ascent of the full gaming service provider. Getting the most out of in-store lottery solutions—adapting retail tools for increased sales. Q&A session with Gerhard Burdda, Senior Vice President, Gaming Solutions, GTECH Corporation and Victor Duarte, Chief Operating Officer, Spielo, a GTECH company … on the integration of Atronic with Spielo and GTECH and enhancing GTECH's portfolio of product offerings. The Key to "Instant" Success: Lottomatica grows instant ticket Business by 3,500 percent. The Venue-Based Video Lottery Model: A popular direction for North American Lotteries. On-pack printing works for major global brands. Why not lotteries? How IGI Europrint can help lotteries promote their product portfolio. Industry Best Practices: Learning from our customers worldwide. An Integrated Strategy for Increasing Lottery Sales: Lotteries can broaden their appeal by focusing on content, channel and delivery. Is the future of lotteries being created in Europe? Leveraging the Massive Popularity of Poker: Transforming skill games into games of chance. Best practices for setting up a government-sponsored racino program. How can lotteries achieve greater revenue?